A hugely successful South African kwaito act formed by three school friends, the name TKZee was an acronym of the members' first names. Their debut, a mini-album titled "Take it eezy", was released in 1996 and was considered to be musically ahead of its time. Hit singles "Palafala" and "Shibobo" followed, the latter featuring guest rapping by Bafana Bafana and Ajax Amsterdam striker Benni McCarthy and "quickly captured the imagination of a kwaito crazy and soccer mad country competing in its first ever Soccer World Cup" in 1998. 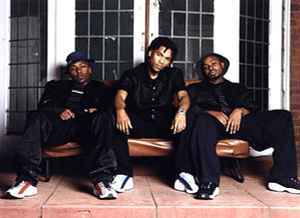 The group cleaned up at the 1999 SAMAs (South African Music Awards) and finally disbanded in 2001 after having released a compilation album featuring guest artists from their own TKZ Wrekords label. 2007 saw TKZee again make headlines, this time for being almost 2½ million rands behind in income tax payments.